This report provides an overview of current utility electric vehicle activity, and includes an analysis of EV dockets and regulatory activity. This report finds that most utilities are unprepared for the upcoming growth in the EV market. Approximately 75% of utilities were in the earliest stages of EV program development. 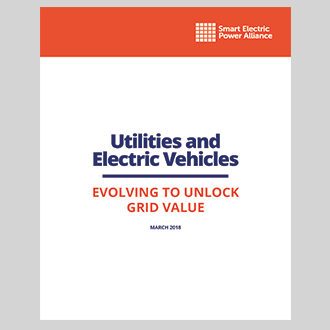 SEPA suggests that these utilities work with peers, and others in the industry, to develop a robust EV strategy and identify strategies to leverage EVs as a grid asset. These efforts will better prepare utilities and equip them with the knowledge and technologies needed to unlock value.